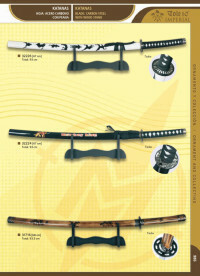 Sheet stainless steel with wooden case. 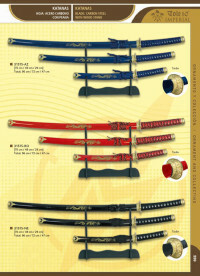 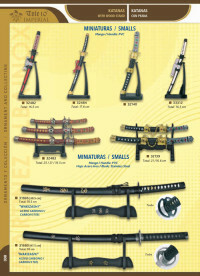 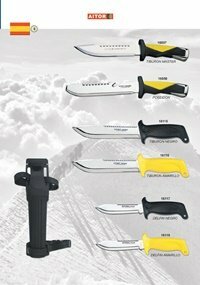 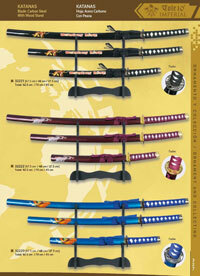 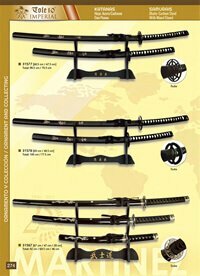 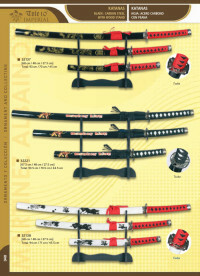 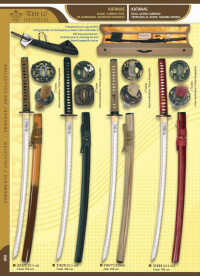 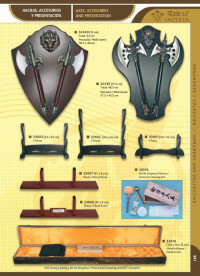 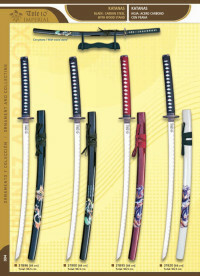 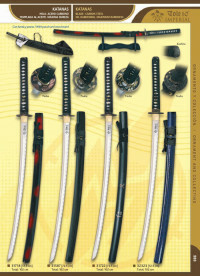 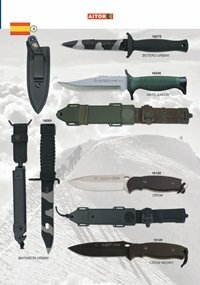 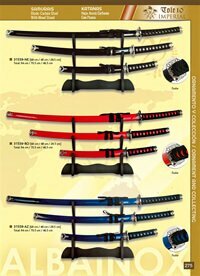 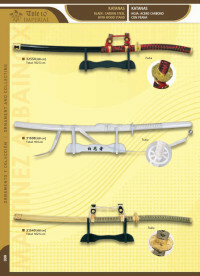 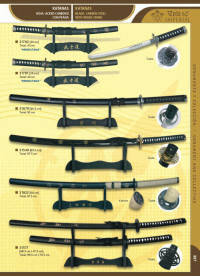 Carbon steel knives and katanas. 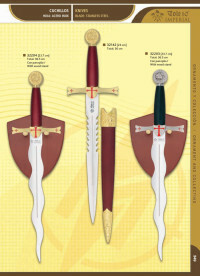 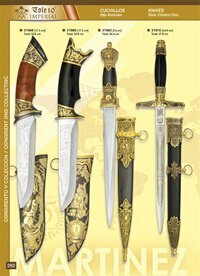 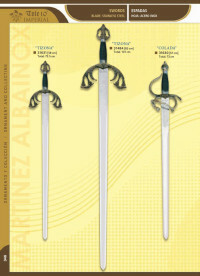 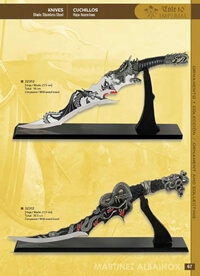 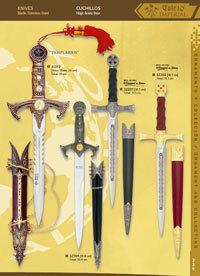 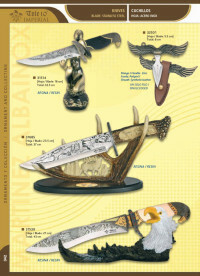 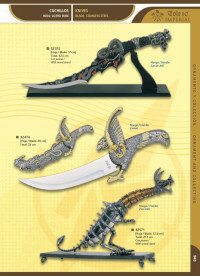 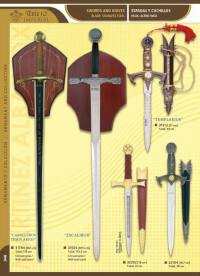 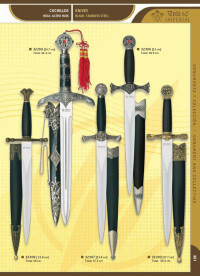 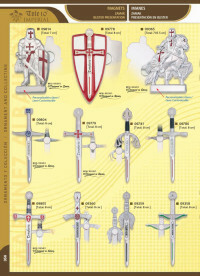 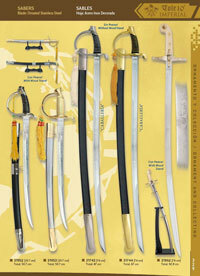 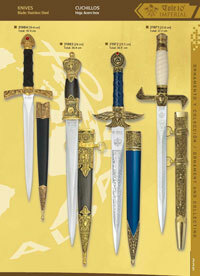 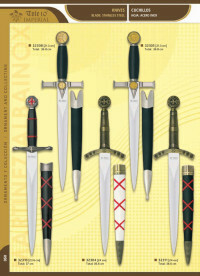 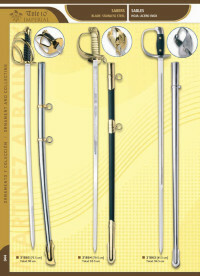 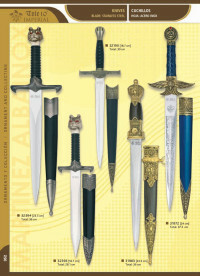 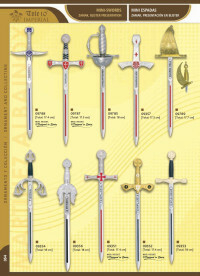 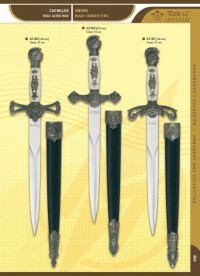 Templar swords "Alba" for ornament and collection with stainless steel blade. 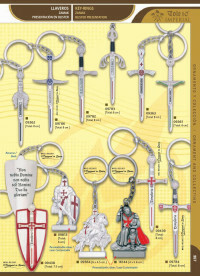 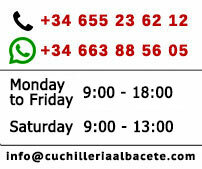 Collection of TOLE10 IMPERIAL key rings and miniswords from Zamak.